If you have been wondering about the newest features of Constant Contact, then look no further, this blog is for you! As the people over at Constant Contact like to say, “New year, new features.” Trust me, there are a whole heck of a lot of new features in Constant Contact. Let’s go ahead and dive right in! Connect with new prospects using the welcome email | Constant Contact’s new welcome email functionality allows you to enable your website forms with the power of Constant Contact. When new contacts submit a web signup form, they will receive an automatic welcome email. This functionality allows your firm to make the right first impression by sending new contacts relevant and targeted emails. Doing so will allow you to reach out to the contacts when their interest levels are at their highest point. Utilize previously sent emails | The days of starting from scratch with each email campaign are long behind us. You can save time and avoid hassle by intuitively copying previously sent emails. Create stunning emails with background patterns | Are you looking for new ways to spice up your email? You can choose one of Constant Contact’s new templates with a background pattern. It is easy to customize your background pattern by selecting the design and color of the pattern directly from the visual editor. RSVPs made easy with the RSVP block | Are you planning on hosting a lunch and learn or some other kind of industry event? You can quickly get a head count by using Constant Contact’s “RSVP block.” You will be able to streamline your event planning by capturing RSVP responses from contacts in a single click. The RSVP block can be fully customizable with your specific event details, allowing you to avoid using complicated sign-up forms. Introducing the video block | Sharing videos in your email campaigns has never been easier. You can increase reader engagement by providing your videos directly in the body of your email! Image options | We all know that images are one of the best ways to engage our audience. Now you can enjoy additional functionality with images! You can utilize images to link your reader’s out to important PDF documents or link directly to an email address. Are you ready to get started with these new features in Constant Contact? Here is the great news! These features are already available for all existing Constant Contact users. You’re not already a Constant Contact subscriber? That is no problem! You can just click on the link below to sign-up for a 60-day free trial and see how the world’s leading email marketing platform can help you take your outbound marketing to the next level. Email marketing is one of the most cost-effective tactics for acquiring new clients and re-engaging existing customers. So why is it that so many firms are resistant to adopting a dedicated email marketing strategy? Failure to implement a dedicated email marketing strategy focused around best practices can lead firms to experience lackluster email results. 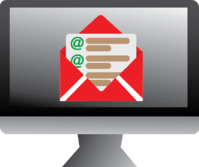 This blog is going to dissect the most common reasons emails sit unread and collect dust. Apply these tips to start winning the battle for the inbox! Unclear subject lines | Did you know that 33% of email recipients open email based on subject line alone [source: Convince & Convert]? Experience greater success with your emails by providing your audience with a compelling reason to open your email. In other words, make the subject line attractive to your intended target so that they want to read your email! Missing the mark on content | Not every member of your audience is interested in the same content. The foundation of a successful email marketing campaign is grounded in keeping content relevant to your readership. Utilize your CRM system to drill down your segment list and keep your content relevant to your audience. One way flow of communication | Have you ever received an email from a ‘do not reply’ email address? This type of tactic comes off as impersonal and will leave a sour taste in a recipient’s mouth. When companies send out mailers from a ‘do not reply’ address they tell their audience that they don’t care to have a real conversation. Give your audience the impression that you are receptive to feedback and you will be amazed at how active your subscribers become. Too many links, not a clear enough call-to-action | Links to important content can be helpful and convenient for readers. As a content provider it is important to tread carefully here! Too many links can detract from more important content and confuse your readers. Focus on your message at hand and optimize your emails to drive viewers to engage in your call-to-action. We hope that you have learned something from this blog that can be applied to your email marketing efforts. Remember that each email campaign is an additional opportunity for you to attract and delight your audience. Following these best practices can make a huge impact on your outbound efforts and lead to increased conversions and growth in your subscription base. Interested in learning more about winning the battle for the inbox? Join us on February 8th to learn how to take your email marketing efforts to the next level. The Deltek Vision to Concur Connector allows both systems to work together seamlessly, automatically synchronizing finance data throughout the entire spending process, from pre-spend approval to reconciliation. Manage every expense and invoice transaction accurately and with ease, and get a complete view of your finances in one place. The war for talent acquisition has experienced a major shift in recent years. Historically, the employer held all of the power and candidates vied for the opportunity to prove their worth to the employer. However, in recent years, this dynamic has changed. Human Resources leaders and executives around the globe are faced with both talent shortages and a lack of candidates who possess the required skills to fill critical roles. Whether we like it or not, we are now operating in a candidate-led hiring market. In a world where demand exceeds supply, we must manage the war for talent. HR must learn how to fight and win this desirable talent through innovative strategies to attract, recruit and retain the skill sets that our businesses require. It’s time to refocus, to get creative and analytical, and to win this war. Branding is typically thought of as a marketing function. However, what happens when companies apply the same branding principles to their recruiting tactics? It is simple, these companies effectively manage the market perception of what it is like to work for their organizations. Successful firms stay aware of the perceived image that current and past employees have about their employment experience. Making sure the perceived image is on target involves evaluating specific details such as the company culture, employee benefits and work environment. A strategic approach to employer branding requires a non-partisan examination of how your company attracts, engages and retains talent. It would be beneficial to undertake an employer brand audit. The results will hopefully inspire your leaders to invest time and effort into building a brand strategy to expand your talent recruitment pool. Improve Your Application Process – When is the last time you reviewed your company’s application process? Most application forms are unnecessarily cumbersome and lead to a large portion of candidates not completing the process because of the time commitment involved. You can improve your candidate experience by keeping your application process to a minimum while meeting all of the firm’s essential requirements. Write More Compelling Job Advertisements – A marketing mindset can help improve one of the first touch points with a potential candidate, the job advertisement. When writing, focus on the job description and opportunity rather than stringing together a list of requirements and qualifications. The job description should be intriguing in order to elicit interest and make candidates want to take the next step in the recruitment process. During the talent acquisition process, both Human Resources and Marketing should work together to emphasize the advantages of working for your company – the great company culture, the reasons your company is a great place to work and the benefits. Using these measures will ensure that those with the right cultural fit have a great candidate experience during recruitment. The offer of learning and development is vital for attracting new talent. So why don’t firms spend more time providing learning and development opportunities for their own internal talent? Current personnel can fill employment gaps fast if they are given the chance to pursue another direction in the firm. All internal staff should be given opportunities to learn new skills and develop alternate career paths within the firm. By providing development options to internal staff, the firm will have better longevity with its personnel and keep the skill sets internal. Relevant data is crucial to business leaders. Our financial metrics, KPIs and future growth reports are all dependent upon having access to quality data. Maintaining information on talent recruitment and retention are no different, and Human Resources Information Systems make this critical employee data much more accessible. Just like the other areas of our businesses, we must first understand how to capture accurate information and then how to use this data within the context of our businesses. Before we concentrate on capturing this information, we must assess the accuracy of the data itself as well as find better ways of presenting the data. Firms that remain competitive in the war for talent are able to contextually embed talent-related data within their business systems. For example, these firms are able to link their staff’s professional development and performance activities to project management and customer service goals and metrics. This data allows company leaders to see real results regarding talent development. 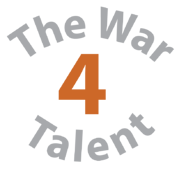 Want to learn more about staying competitive in the modern war for talent? Sign up for our upcoming webinar to learn how your firm can better attract and retain millennial talent for your professional services firm. In the Deltek world, the Blackbox Connector is the trending topic. From marketing professionals gaining insight within Deltek Vision from their Constant Contact mailers, to finance managing risk and controlling expenses through Concur, people are asking about getting more out of their Deltek Vision system. Have you heard the buzz surrounding the Blackbox Connector? If you haven’t, your first question might be, so “what is the Blackbox Connector?" If so, then this blog is for you! What is the Blackbox Connector? The Blackbox Connector is a no-code, low cost, integration solution for your Deltek Vision system with an easy to use API wizard. The purpose of the solution is to eliminate data silos by providing a better and more powerful way to create, update, reference and report on critical business intelligence across multiple platforms using Deltek Vision as your master record set. Our goal is to bring data together in a low cost, easy to maintain manner. Historically, integrations meant ‘expensive’ and required a lot of technical involvement. Not anymore. So what are the key differences between a custom integration and the Blackbox Connector? IT teams are no longer bogged down with costly development cycles or constant evolving maintenance updates. Users can utilize Blackbox’s drag-and drop mapping wizard to link critical fields across systems to synchronize the two systems in a manner consistent with your business. Data accuracy improves across your entire organization by eliminating manual imports and duplicated efforts because the integration is automatic. The results? Providing a low, yearly cost that includes continued upgrade for both solutions and a seamless connection to Deltek Vision. How Does the Blackbox Connector Work? The Blackbox Connector’s API Wizard enables you to easily connect Deltek Vision to third-party software. The configuration is as easy as setting up your phone to your Outlook email. Users will need access and links to both solutions and in minutes your software is connected. 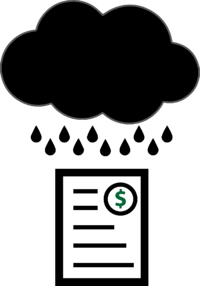 IT is provided scripts and user documentation through our Blackbox Connector portal. Standard mapping is pre-configured and users can further configure their field mapping using Blackbox’s drag-and-drop mapping wizard. The Blackbox Connector portal handles the behind the scenes data processing, including advanced error handling and testing of your connectivity scenarios. The connections are all made over web secure communication channels using web services to feed data to and from Deltek Vision – whether you host your Vision system locally or in the cloud, the Blackbox Connector platform can help your firm bring data together. The Blackbox Connector is a critical game changer with how organizations work within their Deltek Vision system. Our programmers are continuing to invest in commonly requested integration programs and your feedback can impact the next solution. Combine the best features of Deltek Vision with your other critical business systems to save significant hours for your staff and provide them with the tools needed to make faster, more-informed decisions. Could the Blackbox Connector bring data together for your firm? Check out our website or schedule a demo to see how Blackbox can help your firm save time and money, while improving your overall experience in Deltek Vision. Full Sail Partners today announced it joined the Concur Solution Provider program and can now refer clients, including those using Deltek, to Concur, the leading provider of spend management solutions and services. This partnership expands the Full Sail Partners offering to include Concur solutions and allows Concur data to flow into Deltek Vision, helping professional services firms create a better expense reporting experience for their employees and also enable the firms to realize significant cost savings. Concur Travel, Expense and Invoice are the industry’s leading solutions to help businesses manage spend and gain insights that drive savings. Concur has more than 40 million users globally, and in 2015 the company processed transactions worth more than $70 billion in travel and expense spend. Together, Full Sail Partners and Concur will enable HR and accounting professionals to better manage expenses and invoice processing from approval to payment posting. The expanded capabilities offered through Concur will enable professional services firms to capture paper and electronic invoices, enabling efficient, automated processing – from purchase request through payment, including 2-way and 3-way match capabilities. “Travel and expense is the second largest area of controllable business spend – a challenge especially significant to SMBs. With a partner-focused initiative like the Concur Solution Provider program, we can help partners like Full Sail Partners expand the value they provide SMBs while driving business growth and profitability,” said Christal Bemont, SVP and GM of SMB and National Accounts, Concur. To receive details about this partnership and the Concur solutions offered through Full Sail Partners, please visit http://www.blackboxconnector.com. Full Sail Partners provides technology services and solutions for more than 1,000 professional services firms nationwide. 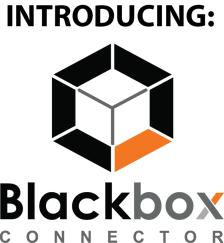 Blackbox Connector, a division of Full Sail Partners, helps bring data together with a no-code, low cost, integration solution connecting Deltek Vision users to any API-powered application within minutes. Full Sail Partners represents project-based products focused on integrating business processes by connecting front-end and back-end systems. We seek to help organizations identify the critical resources needed to create a faster, more efficient, and cohesive business infrastructure. I don’t know anyone that actually enjoys completing their expense report. The process is arduous, and steals valuable time from your already hectic day. The fact is, if you want to get reimbursed for a company expenditure, you have to take the time to complete your expense report. No ifs ands or buts about it. Luckily, Blackbox’s Deltek Vision and Concur Integration eliminates this pain staking process for your employees and frees them up to concentrate on client-focused, billable work. So, how can the Blackbox Concur Connector help you combine the benefits or Concur's expense controls and management with Vision's financial and project management tools? Easy! See how below. No more expense report time dump! Concur’s credit card integration is freakin’ awesome. I’ll admit it, I am terrible at manually documenting receipts and deciphering between my credit card charges vs. cash expenses. I used to stress out when thinking about the time dump required to complete my expense reports. Now, the Deltek Vision and Concur integration allows me to complete and submit my expense reports faster, rather than waiting until the end of the month to begin the process. User protection / fraud prevention. Recently after traveling in New York City, I submitted an expense report with duplicate charges for an Uber ride. This minor mistake held up the processing of my expense report as we internally worked out my error. Concur allows me to eliminate this time consuming process of going back and forth from submitter, management and accounting. Additionally, these controls protect the company from accidental or direct fraudulent activity. Mobile is where it’s at! I’m constantly on the go and I rely on my smart phone for just about everything. I can honestly say that Concur’s mobile app has been a big reason that I have been more diligent with completing my expense reports. Additionally, the mobile app sends me alerts when I have new charges, reports to approve or notifications. Real-time, Automatic, Transaction-based Integration. No more waiting for new projects to show up so I can associate expenses. No tedious manual uploads to share information between the two systems. No more having to input the same information in multiple places. The bi-directional connector allows the information I and my accounting team need to be available where and when it is needed. Ready to See How Concur Integrates with Deltek Vision? 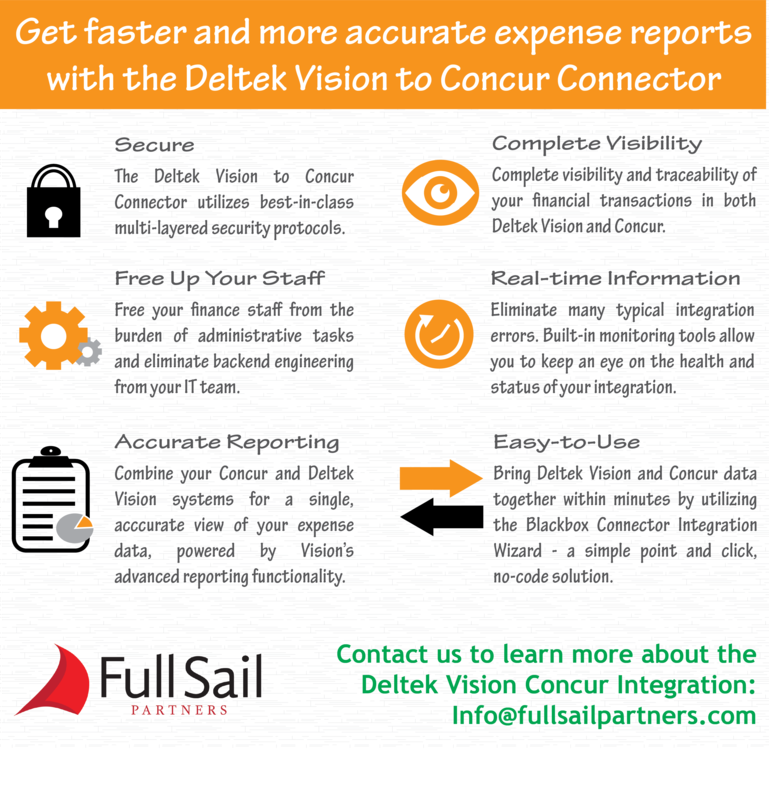 Are you ready to learn more about this turn-key integration of Deltek Vision and Concur? Join Pete Nuffer as he unveils how all Deltek Vision users can win with automated expense management. Recently, Beaudin Ganze Consulting Engineers, Inc. embarked on a rebranding initiative, officially becoming BG Buildingworks. A critical element of this rebranding effort was to notify the company’s key constituents to reaffirm that the rebranding was primarily a cosmetic change, and that BG Buildingworks would maintain their personnel and technical expertise. Hear directly from Karen Crilly, BG Buildingworks’ Director of Marketing & Client Development, about this process. See how the firm was able to overcome challenges with their contact data in time to announce the rebranding prior to their 25th anniversary. For BG Buildingworks, innovative solutions are at the core of their business. BG Buildingworks provides mechanical, electrical, lighting, technology, commissioning, energy analysis and LEED consulting services for projects ranging from those in higher education to government, commercial, hospitality, healthcare and more. They are experts in REVIT modeling, employing state-of-the art technology and tools to optimize energy-efficient building systems and improve the owner’s bottom line. Through early program definition, focused project management, expert systems design and engineering and highly experienced construction phase services, BG Buildingworks provides owners with low-risk, high-return solutions for their facilities. As a first time attendee to SMPS Build Business, I want to make sure that I experience all there is to offer at the national conference for professional services marketers. So before I head off to the City of Brotherly Love I thought it would be a good idea to ask some long time attendees for their advice on how to get the most out of this conference. Here are the 5 tips I found most useful. Keep in mind, these tips can be used when attending any conference. Make intros memorable. You are sure to meet more people than you can remember. The same is true for the people you hope to make an impression on. The key to being memorable is to practice how you will introduce yourself. Introduction should intrigue your connection to make them want to learn more. “Hi, I’m Graham I’m a marketer” won’t cut it. Focus on how you and your company add value to your clients. Give the discussion purpose. Perhaps your newfound contact is facing a challenge and you can help them overcome it. Stand out from the crowd by leaving each new contact with a feeling of time and energy well invested. Identify the best way to capture contact info. Do you have a plan for capturing important details gathered from your networking efforts? Do you plan on jotting details down on a napkin to send off to someone else to enter in your CRM system? Or perhaps you are planning on entering everything immediately using your mobile device. Thinking this process through before the conference will allow you to have a system in place to get the most out of your networking efforts. Pre-schedule meetings. Prescheduling meetings is my favorite tip for attending any I believe that the primary focus of attending a conference should be to network and connect with people. The number one way to do that is to begin networking and connecting before the conference even begins. Try sending out emails to contacts that you know will be on site, or even create a landing page on your website advertising your attendance to the conference. Better yet, pick up the phone and set-up meetings to have drinks or lunch with contacts. Have a plan, be willing to adjust. Have you seen the program for this year’s SMPS Build Business? There are a ton of awesome programs! Take your time before the conference to map out your roadmap for sessions you want to attend. However, show up to the conference willing to pivot and adjust on the sessions you attend. You never know when the opportunity will arise to attend a session with an old client or new prospect. Dress accordingly. You are set for some long days ahead -- between breakout sessions, networking breaks walking the exhibit hall and everything else that goes into attending a conference. Make sure to wear the right shoes – taking care of your feet will keep you mobile and ready to network. Also, don’t forget to dress appropriately to accommodate for changes in room temperature. Recently, I was fortunate enough to participate in a lively discussion among up-and-coming marketers regarding the merits of running email marketing campaigns for professional services firms. Although opinions differed greatly on the types of campaigns firms should deploy, one thing we could all agree on: Email marketing is widely effective. For example, Chief Marketer reports that email marketing shows an impressive ROI of 28.5%. So, I wanted to share with you some of my favorite email marketing campaigns. These are the types of campaigns any firm can utilize. These campaigns are merely a starting point to get your email marketing creative juices flowing! Next time I check my inbox, I hope to see one of these campaigns coming from your firm. The Newsletter is alive! Believe it or not, the tried and true newsletter is alive and well. Transforming the newsletter from a print to digital format is a natural progression for most firms. In fact, the ability to customize and micro-target specific audiences allows marketers to ensure that they are focusing their messaging on their audience. Subject lines are king. The battle for readership is won and lost in the inbox, don’t let a poorly thought out subject line land your newsletter in the trash. Create a central theme. Nothing increases your readership-bounce-rate like a disorganized, hard to follow, mailer. Create a central theme to your email blast and stick to it: Your click through rate will thank you! Make it clear on how to opt out. The number one sin when executing a digital newsletter campaign is trapping your audience in a slow painful death by email. Nothing deteriorates your brand faster than spamming disengaged customers. Give your readers a clear path to exit and your overall mailer will be better off. At the very worst you will know that your messaging needs refining based on an alarming rate of unsubscribes. Spotlight your latest project. Have you recently completed an impressive project that your clients would like to hear about? Perhaps you can highlight your top projects to a target list of prospects that you would like to do business with in the future. Bolster your brand by taking pride in your projects and demonstrating your expertise to the world. Bonus: Your current clients get additional exposure for their project, a win-win for everyone! Give your images alt tags! Email clients can be a tricky beast, and you never know what settings your recipient has enabled. You are trying to spotlight a project, and surely you want to show off your beautiful project photography, right?! Giving an image an alt tag will allow alternative text to appear if the image doesn’t load. Tell your reader a story. It’s not enough that you recently completed a new state of the art project. In order for your message to be memorable you need to focus on engaging your reader. Make your email standout by crafting a relatable story. Reduce load time, not quality. Optimizing high-quality images for digital viewing is essential. Compressing your images allows you to maintain quality while reducing long email load times. Planning to attend an event? Let ‘em know! 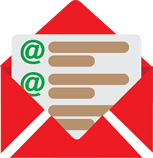 Email is an excellent tool to inform prospects and clients that you will be attending an upcoming event. Invite your contacts to join you to ensure that you get the most out of the event. I always like to say that email blasts are a way for me to start networking at an event, before the event ever starts. Why do they care? Do you really think that the fact that you are attending an event is really enough to entice a client to show? You need to let your audience members know why they can’t miss the event. Make it all about them and you just may be rubbing elbows with them sooner than later. Make your email actionable. It’s not enough that the client or prospect knows that you will be at the event, make sure to let them know how they can connect with you on-site. Responsive Design. Fast forward to the day of the event and there’s a good chance that your client will be using their smart phone to refer back to the email you sent them with meetup instructions. Make sure that your email is optimized for mobile viewing. So you have decided that this email marketing thing is for you, but you don’t know how to kick off your first email campaign. No worries, we have you covered. Sign up for a 60-day free trial of Constant Contact and access dozens of free email templates to help you craft your message.